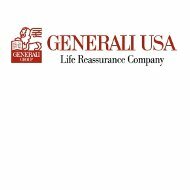 A review of Generali USA Health Insurance Company finds Generali USA Life Reassurance Company; a subsidiary of Assicurazioni Generali S.p.A. Assicurazioni Generali is based in Trieste, Italy, and is one of the largest insurance companies in the world. Looking for health insurance coverage? Type your zip code into the box above and comparison shop a range of different health insurance quotes from top providers in your area. Generali USA offers a line of reinsurance products, including individual and group life insurance, accidental disability and death, and personal accident coverage. The company also offers underwriting services and actuarial consulting services. Generali USA started out as the Business Men’s Assurance Company of American in 1909, selling life insurance. The company began selling reinsurance in 1922, and by 1941, this part of the business had grown so large that Business Men’s Assurance formed a reinsurance division. In 1990, the company was acquired by Assicurazioni Generali S.p.A, and in 2003, the company stopped selling direct insurance in the U.S. Instead, Assicurazioni Generali focused wholly on its reinsurance business, renaming the company Generali USA. Generali remains a wholly owned subsidiary of Assicurazioni Generali S.p.A. The company is licensed or accredited to offer reinsurance in all 50 states. The Generali Group in North America also has offices in New York City. This branch office of Assicurazioni Generali includes Generali Claims Solutions LLC, Generali Consulting Solutions LLC, Generali Employee Benefits, and Europ Assistance USA. The office is located at 7 World Trade Center. Generali USA prides itself on a tradition of excellence in financial strength and customer service. The company has received a rating of “A” (Excellent) from A.M. Best & Company for its financial strength, as well as an “a” for issuer credit. Standard & Poor’s gave Generali USA an “A+” (Strong) rating. Both companies believe Generali USA has a stable future outlook. Generali’s commitment to customer satisfaction is also evident in the fact that there are very few online complaints about the company. A search of the company through the Better Business Bureau (BBB) turned up nothing. Because Generali USA is a reinsurance company, it does not offer insurance directly. Instead, it assumes some or all of the risks and responsibilities of other insurance companies. Depending on the type of reinsurance that another company purchases from Generali USA, that insurance company may still do the underwriting of its own policies to its policyholders. It may transfer all liability and underwriting faculties to Generali who has a large underwriting staff, each of whom has extensive experience in the field. Additionally, all customers are assigned a case team to help them with any complexities that come up on any particular case. Generali USA offers individual life underwriting services, and individual actuarial consulting, as well as reinsurance for group life and accidental death & disability, personal accident, accidental death carve-out insurance, and bulk accidental death benefit riders. If you are still looking for an individual health insurance plan, simply type your zip code in the box below. Then shop health insurance rates from companies in your area.